PlayStation games might be interested to know that the Klaus PlayStation 4 game will soon be available and is expected to be available via the PS4 Store from January 19th 2016. Victor Velasco Game Designer on Klaus has taken to the official PlayStation Blog to reveal more about the Klaus PlayStation 4 game and what you can expect to enjoy. Also check out the launch trailer embedded below. Since day one Klaus was designed with aesthetics and fluidity in mind. When it comes to how it looks, the backgrounds now feature much more detail and tell a story of their own. Ripped yellow shirts, Big Brother-like posters, and hidden messages are just some of the elements that bring Klaus to life. It isn’t just a prettier game though — it also feels faster and smarter. Overhauled level design allows for even more environmental manipulation, while improved character physics and controls mean that speed runs are more epic than ever. 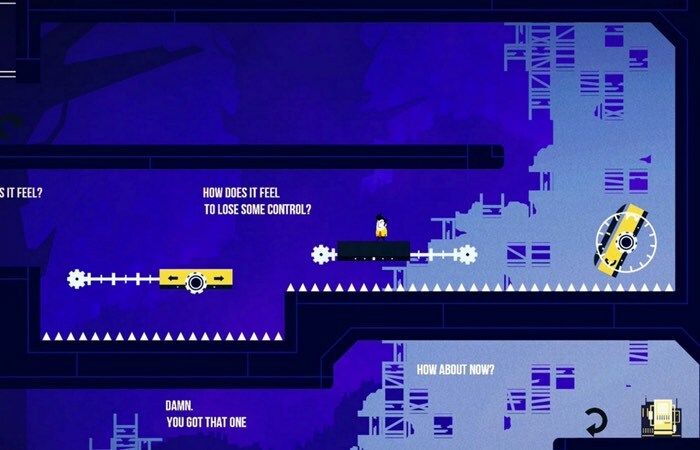 Boss battles in a puzzle platformer are tough. Even though we considered this early last year, and started to work on them, we didn’t have enough resources to flesh them out. Klaus now features three boss battles, with each representing an important narrative shift for the player. We don’t want to spoil too much, so let’s just talk about the first: K1. Since [spoiler alert] he becomes a controllable character in World 2, this fight was important to get right in order to communicate who K1 is as a character.